Thanks for the help Dave! Hopefully next year. It would have been nice to go up to the mountains more while it was still warm enough for mushrooms and look for hens and such, but college is in session. That's odd. Maybe I'm looking in the wrong places. Maybe I should check the hemlock forests instead. Ideally I'd try to come up with some puns to complement that post but it's a work of art in and of itself. I fold. I think you're right. I have a theory that it could also do with the chanterelles. They were SO plentiful this year. Maybe they were out-competing other mushrooms species. That's just my theory though. I'm no expert in mushroom biology. Greetings! So I have found a lot of mushrooms this year, but the overwhelming majority of edible ones have been chanterelles. The past two years that I've mushroomed in the summer I've found more boletes than I did this mushroom season so far, where the boletes were very sporadic, and usually not very large. I actually have found clusters of suillus of some kind and some kind of bolete as well in my yard, but I don't know if I've seen a single cluster of two or more at a given spot in the mountains this year. Any ideas? I suspect the rain had something to do with it. Thanks for your opinions and knowledge! Always a good idea Dave! Thank you for reminding me. Oh my. 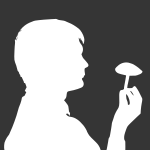 Maybe I'll stick to visibly identifiable mushrooms for now. Thanks for your help Dave! Would these be okay to try to make tea from? I'm not super into medicinal mushrooms but I'd like to try that. Thank you for your help! I'll post a closer up picture of the alleged Trametes Versicolor. That thought crossed my mind. 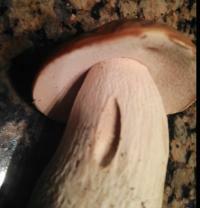 I knew there were a lot of russula species, but I figured I would ask just in case. Thank you for your help! Thanks Dave! I don't think I'll be making any tea from those but I might dry them and keep them for decoration after they spore. That's what I was curious about. Thanks for the help! I have spots to find some actual hemlock varnish shelf that would be more usable for reishi tea if I decide to try to make some. Still a cool looking fungus! Are there poisonous ganoderma species, out of curiosity?